It’s great music for some great causes! 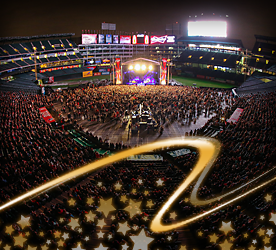 Join us for the 3rd annual ACM Party for a Cause®: 50 Years of Music & Memories on April 17th and 18th at Globe Life Park in Arlington, Texas. This two-day outdoor music event will include multiple stages for ongoing LIVE country music performances, interactive experiences, a family-friendly country marketplace with food trucks and vendors from around the country, and much more. You won’t want to miss this event that will include more than 30 different artists, proceeds benefitting yet to be announced charitable organizations. Talent line-up to be announced soon! *The ACM Party for a Cause pre-sale exceeded our expectations! More tickets may be released at a later date as they become available.